Great Partners Grow Great Businesses! Make more money doing what you do best and leave the details to Windward Professionals! 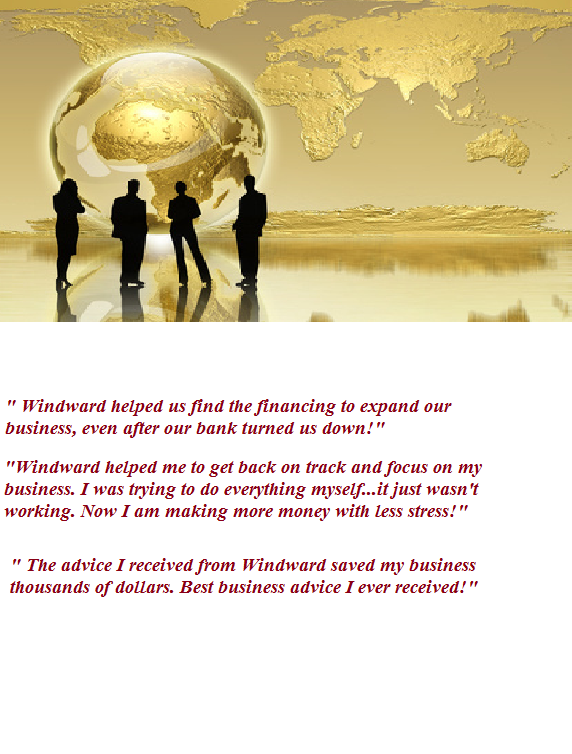 Bookkeeping, Business Plans, Financing,Marketing and Sales, Consulting Windward Business Advancement works with owner managed businesses to help you succeed!